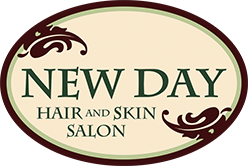 Ask for New Day Hair & Skin Salon gift certificates for any occasion. Available throughout the year and redeemable for both customized or package services and/or products. Call the salon at 203.924.1673 or stop in to pick one up! Please provide 24-hour notice if you must cancel your appointment or service. We reserve the right to charge for late cancellations or no-show appointments. We are an appointment-only salon, so advance notice of a schedule change is extremely helpful! We will try to accommodate your appointment change as best we can, but cannot guarantee your preferred rescheduling. All appointments must be booked in advance–at least 2 weeks is recommended to receive a date and time you desire. We cannot accommodate walk-in appointments. Appointments will be confirmed over the phone. Retail products may be returned for a Salon credit within 14 days of purchase. We do not provide refunds for delivered services, but we do want you to be completely satisfied! If you are not happy with your service, please contact us right away so we can correct the issue. We accept all major credit cards. Gratuities are greatly appreciated for salon and skin services–customary gratuity is 15-20%, and can be provided in cash, check, or added to your credit card.